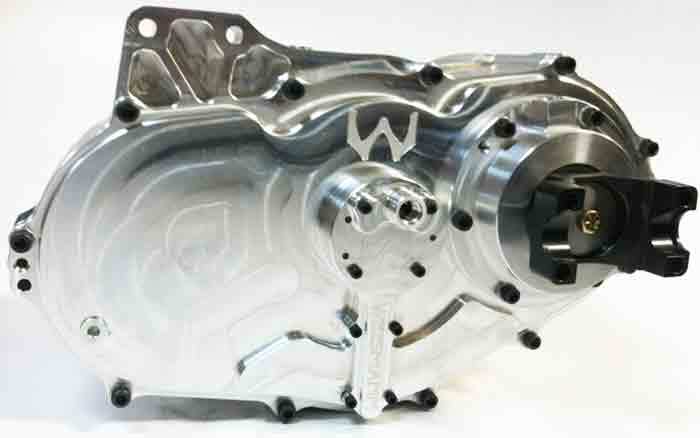 Our standard WBT 4WD Transfer Case, that we have been racing in the Pro 4 trucks since 2003, has undergone a series of evolutions to enable new truck configurations, increased ratio range, increased oil sump capacity, increased gear capacity for the desert, a lighter case and covers, a selectable device that can alter the drive to the front wheels, and even a bolt on damper. 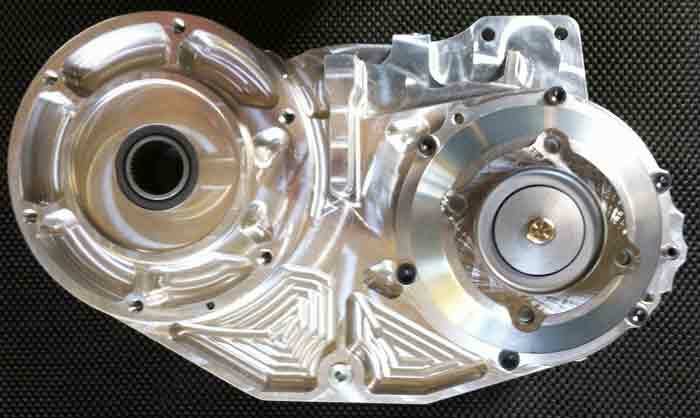 The first major change is the location of the rear output drive. It normally lies inline with the output location of the automatic. 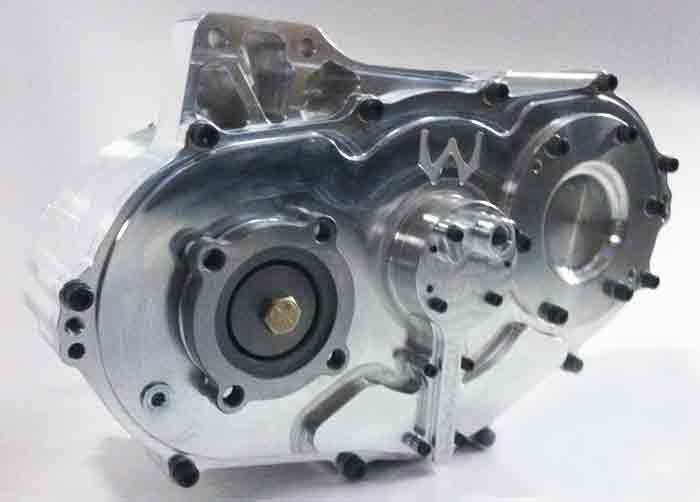 Recently we made a version that moved the rear output inline with the front output location. 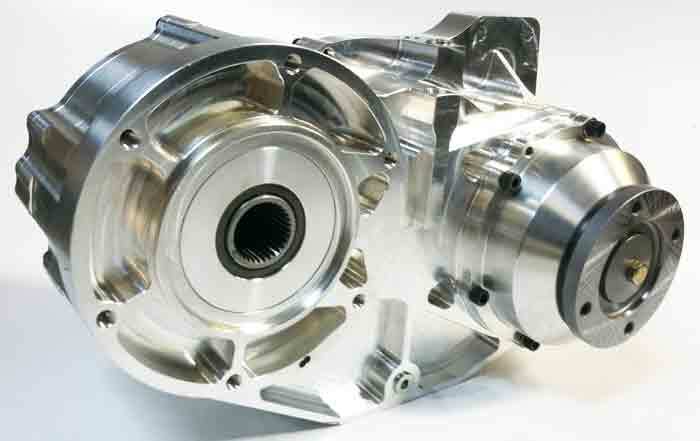 The output can be a flange or a yoke. ​In both of the versions above, the selectable Weismann Unlocker / Locker is incorporated into the out put to the front. In Unlocker mode, the output to the front drives in the drive direction only. In Locker mode, the output to the front drives in both directions, i.e. you have 4WD in reverse too. The P4T can come with output flanges to fit CV joints, or end yokes, or for maximum driveshaft length, a 35 spline, 1350 or a 1480 Pinion Yoke. 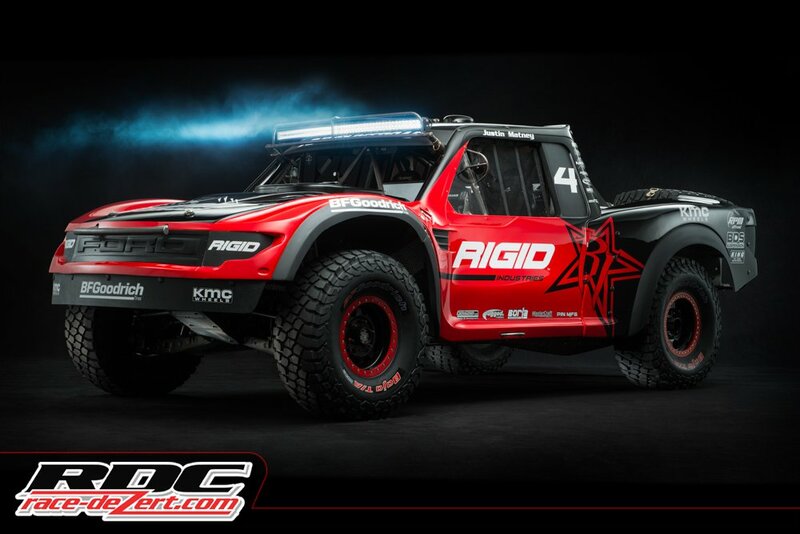 The Geiser Bros AWD Trick Truck is based on our P4T Transfer Case. This year, Justin Matney won the first race of the year at the Parker 425, the first time in over 50 years a 4WD truck has won overall. 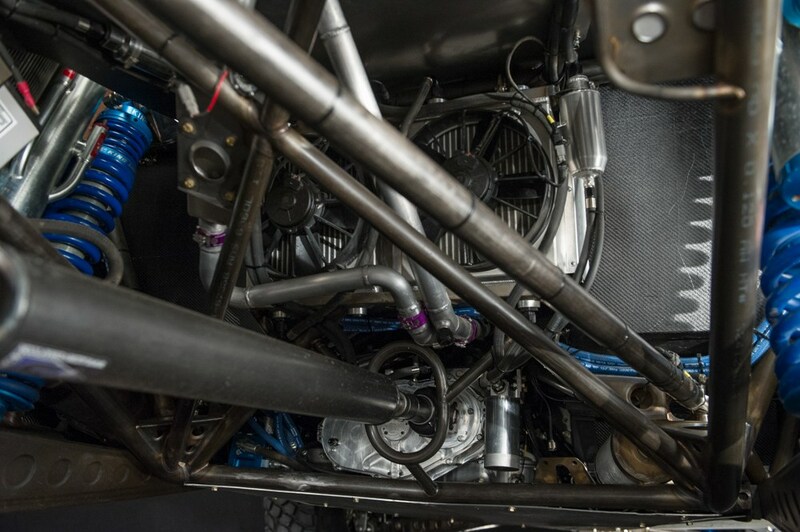 Click on the picture above or below to see a video about this race truck. 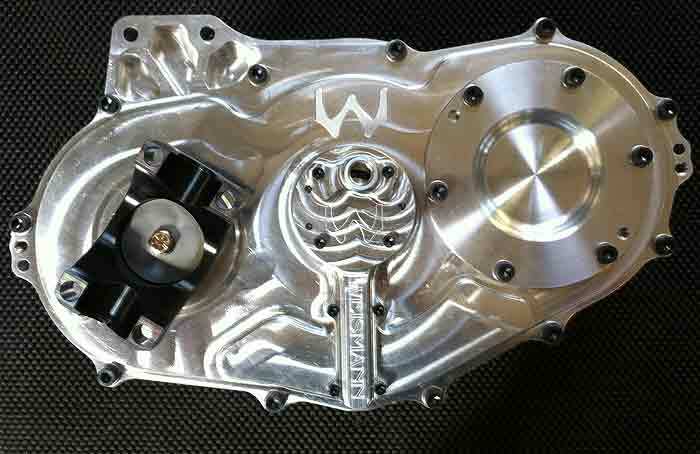 The P4T is drysumped with an internal sump system, and a built-in mechanical oil pump. Not pictured is a new Damper that we successfully raced last year to a TORC Championship, by saving their weak transmission from gear failures. Jason Baldwin, Johnny Greaves, Ricky Johnson, Rob MacCachren, CJ Greaves, Adrian Cenni, Steve Barlow, Mike and Mark Jenkins, Jerry Daughtery , Bryce Menzies, Justin Matney.